Need to know which WordPress categories and tags are most popular on your site? 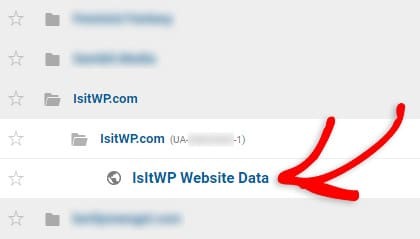 By default, Google Analytics doesn’t allow you to track WordPress categories and tags. 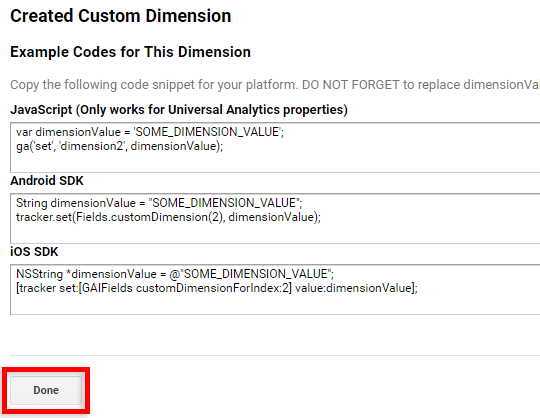 In order to track them, you need to set up custom dimensions in Google Analytics. In this article, we’ll show you how to set up custom dimensions to track WordPress categories and tags. 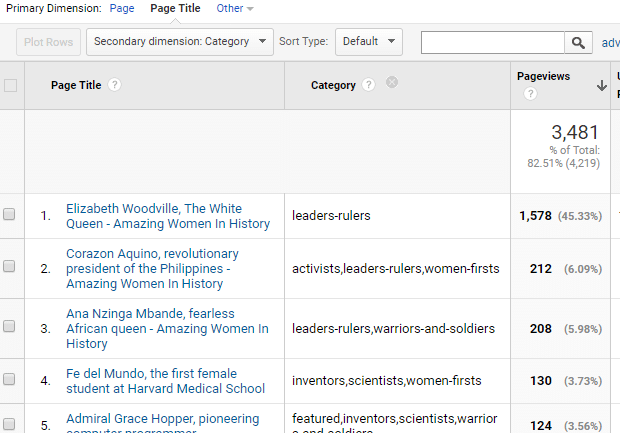 Custom dimensions allow you to collect and analyze data that matter to your website, which Analytics doesn’t automatically track, like Category, Tags, Author, etc. 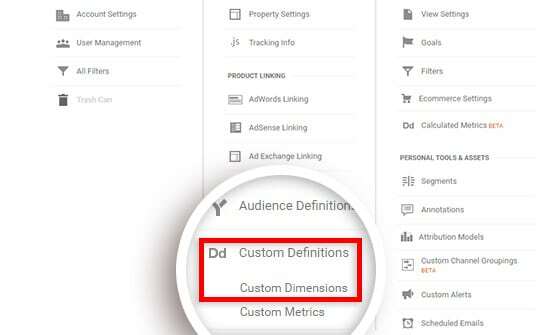 Custom dimensions are just like default dimensions that you can find in Google Analytics (example: gender, region, all pages, traffic sources, etc. ), except you create them yourself. For more details, you can read the beginners guide to custom dimensions. Setting up custom dimensions on your website can be a hassle especially if you’re not an Analytics expert, since you have to modify your tracking code. But with MonsterInsights, you can easily set them up without having to touch a single line of code. 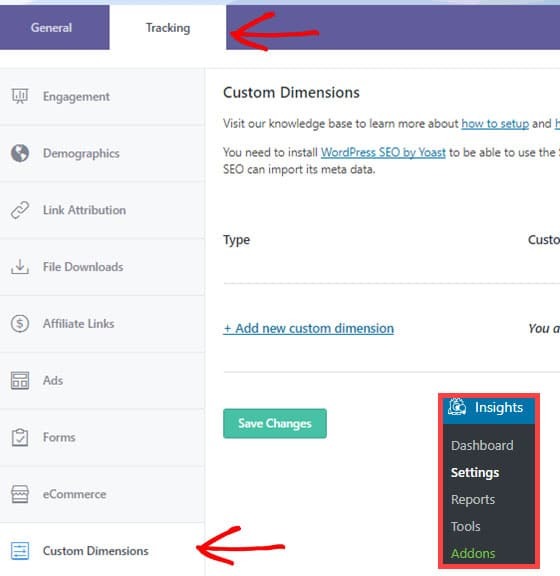 All you need to do is to install the Custom Dimensions addon and set up custom dimensions tracking on your site. Follow the below steps to start tracking WordPress categories and tags on your website. 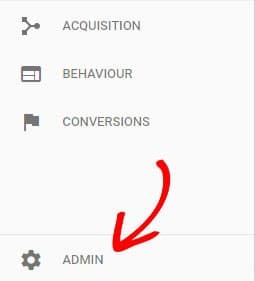 The first thing you need to do is to install MonsterInsights on your site and properly connect it with Google Analytics. For a step by step tutorial, learn how to properly set up Google Analytics with MonsterInsights. 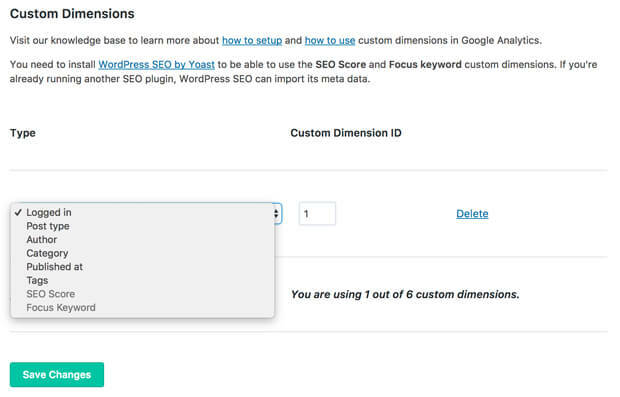 To track WordPress categories and tags, you need to install the Custom Dimensions addon. 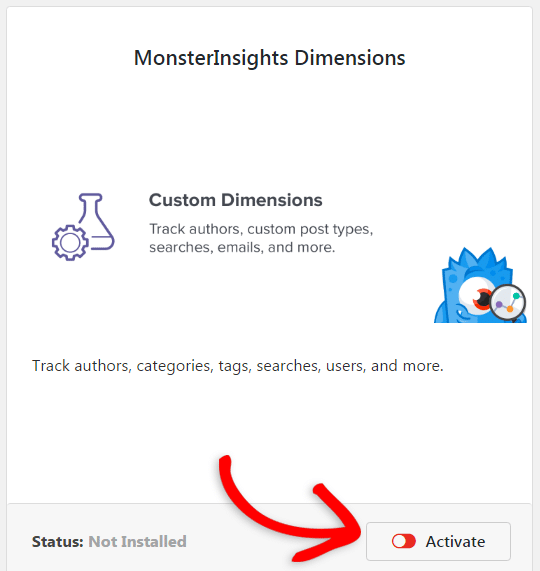 To install the addon, go to Insights » Addons and click Install under MonsterInsights Dimensions. After installing the addon, the button will change to say Activate. Go ahead and click the Activate button to make sure the addon is active and ready to use. Then go to Insights » Settings. Once there, you can click on the Tracking tab on the upper tab row, and then to the Custom Dimensions tab on the left tab row. Once on this page, click on Add new custom dimension. Select whether you want to track category or tags. If you want, you can set up both of them and even more dimension type tracking. After you set up WordPress categories and tags tracking, it may take some time to start getting data. Once it is done, you can find their report in Google Analytics. You can customize your traffic report by choosing Categories or Tags as your secondary dimension. 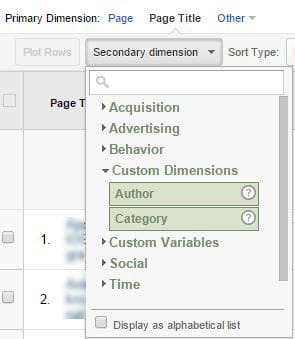 In Google Analytics, navigate to Behavior » Site Content » All Pages. Click on any primary dimension, say Page Title. Then, choose Category or Tags as the secondary dimension. This will add the corresponding column to the report you are looking at. 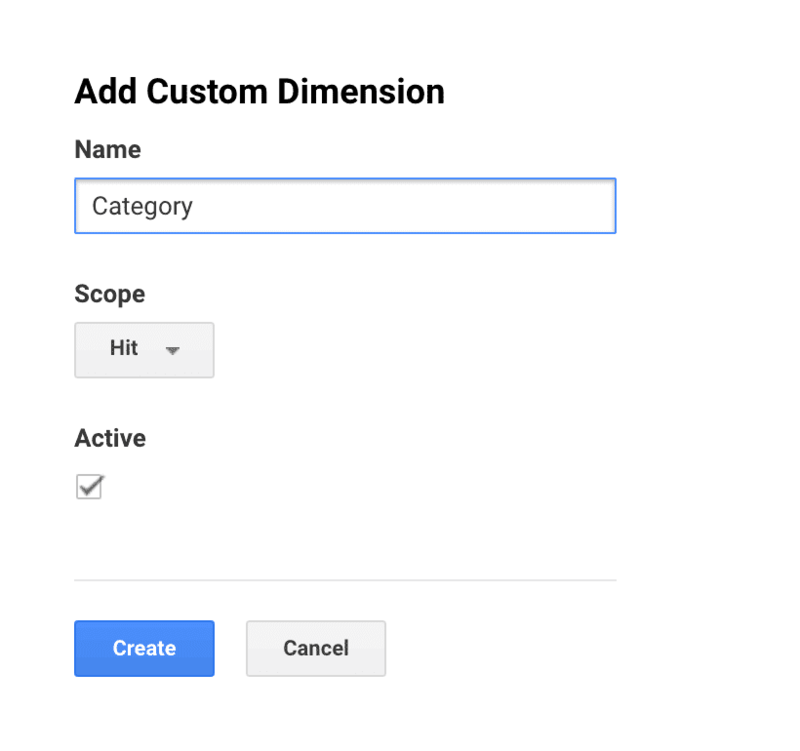 For more details, you can learn how to create a custom dimensions report in Google Analytics. We hope this article helped you set up WordPress categories and tags tracking in Google Analytics. Do you want to filter out your own traffic in Google Analytics? Then find out how to stop Google Analytics from tracking logged-in users in WordPress. Please follow us on Twitter and Facebook for more free tutorials.